After our client stopped by another one of our jobs down the street to get ideas for his own home, he decided to hire us for this fun remodel. Here we did a complete renovation and addition that connected the main floor to the basement, making the home warm and very livable. 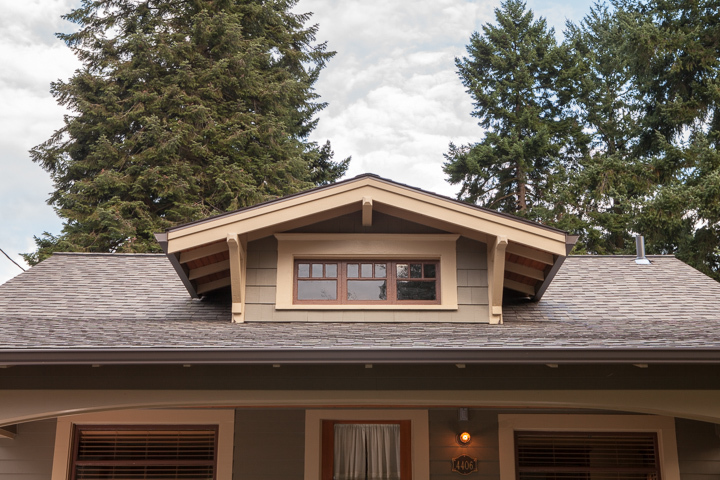 This small craftsman bungalow was a complete renovation project. A small addition was also added off of the rear to allow for a study and to enclose the stairs/access to the basement so that it could be usable conditioned space. Our very active client was focused on optimizing storage for outdoor gear so we created an oversized mudroom with specific places for everything from wetsuits to hiking shoes. 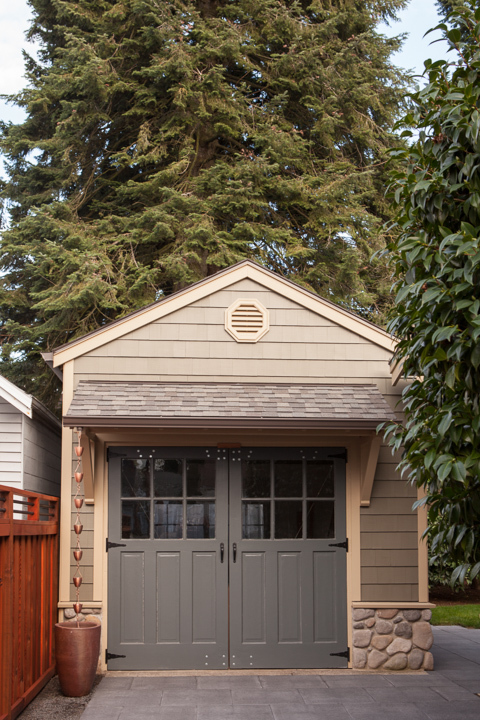 We also fully restored the garage including completely refinishing the original carriage doors to create a studio for arts and crafts with a loft for storage. A favorite part of this project was ditching the vinyl siding and restoring the front elevation. "The phases that we've undertaken were executed really well. I think NWHR is really selective with their subs because they know that all of their work is so much a reflection on the company. The subs were careful and seemed to do good work. Communication has been really good and they seem to have good recommendations for other industry professionals, design options, building materials, etc."